Patients with missing teeth can replace them with a permanent alternative to traditional dentures that looks and feels like natural teeth. Offered by our Scottsdale dentists, dental implants not only help with chewing and speaking, but they are also custom-designed to fit comfortably in your mouth without slipping and other issues often caused by dentures. Plus, they become permanent fixtures of your mouth, and require no regular maintenance outside of your normal dental routine. Our dentists utilize computer guided surgery and the innovative Cone Beam X-Ray technology, a digital mapping system that allows us to place dental implants with the most precise and accurate results possible. This precision is what can lead to results that look and feel so much like your natural teeth that it may be tough to tell the difference! Known as durable and strong restorative dental options, dental implants are one of the most successful functional and aesthetic dentistry procedures in use today. Please contact Scottsdale Smile Center for more information on dental implants, or to schedule a consultation. Dental implants are stronger and more durable than their restorative counterparts bridges and dentures. Implants offer a permanent solution to tooth loss. Additionally, implants may be used in conjunction with other restorative procedures for maximum effectiveness. For example, a single implant can serve to support a crown replacing a single missing tooth. Implants can also be used to support a dental bridge for the replacement of multiple missing teeth, and can be used with dentures (known as implant dentures) to increase stability and reduce gum tissue irritation. Procedural advancements, including the development of narrower “mini” implants, mean that more people than ever before are finding themselves candidates for implantation. However, candidacy for implantation still varies, meaning that Dr. Brandon Ryff, Dr. Jonathan Coombs, and/or Dr. Don Chiappetti will need to determine if you should opt for an alternative restoration. CT scans coupled with state of the art 3D software represents a tremendous leap forward in Dental Implant treatment planning. Prior to this combination, implants had to be planned with a 2-dimensional x-ray, leaving out the most important factors in both the predictability (bone density and bone width) and safety (3D relationship of the implants and nerves). Now, with the exciting Cone Beam technology, a quick 20 second scan is processed in our office to recreate your true 3D anatomy, allowing us to do “virtual surgery” on your jaw, placing the correct size implant into the ideal location for you. With older, less precise imaging modalities, it is not uncommon to have unexpected charges due to bone grafts or sinus grafts, or poor esthetic outcomes due to less than ideal placement. What this new technology means to you is quick insertion of implants into the precise position with no “guesswork” during your treatment. Prior to your insertion procedure, you will be shown your case, and see exactly what will be placed and where. There will be no surprises! Today’s dental implants are virtually indistinguishable from other teeth. This appearance is aided in part by the structural and functional connection between the dental implant and the living bone. Implants are typically placed in a single sitting but require a period of osseointegration. Osseointegration is the process by which direct anchorage of a dental implant root and the bone of the jaw occurs. 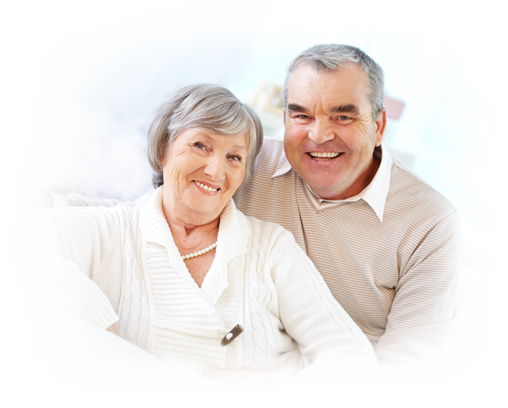 Osseointegrated implants are the most commonly used and successful type of dental implant. An osseointegrated implant takes anywhere from three to six months to anchor and heal, at which point our dentist can complete the procedure with the placement of a crown. Once the implant has anchored with the jawbone, an artificial prosthesis may be attached and the process is done. If osseointegration does not occur, the implant will fail. Our dentists will evaluate your needs during an initial consultation and talk with you about your options. For most patients, dental implant procedures have extraordinary success rates and significantly improve form and function of the teeth with permanent results. For more information on dental implants, or if you would like to schedule a consultation to talk more about this procedure, please contact Scottsdale Smile Center today.